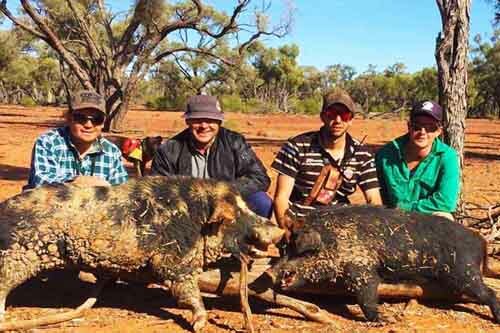 >> Click here to browse our list of Australian hunting properties that allow dogging. Note: If you are hunting with dogs, you also need to be a member of APDHA or an approved dog hunting club to hunt on our properties. No exceptions. In some parts of Australia, including Queensland and New South Wales, pig dogging is still a legal commercial and recreational activity. In fact, the Government of Australia has launched the ‘Be a responsible pig dogger’ programme to ensure that the activity is done in an ethical manner. It aims to promote awareness regarding the responsibilities that a pig dogger has. The main objective of using dogs to hunt for pigs is not to cause a fight between the dog and the pig, but to prevent the pig from escaping or moving. This way, the hunter is able to kill the pig in a humane way and as quickly as possible. Also, the dogs used in the activity are trained where it comes to holding an animal – they use only minimum force. In other words, these dogs are considered to be ‘non-violent’ and ‘non-aggressive’ and will not pose a threat to other animals or humans. In addition, although the hunters are allowed to use dogs to locate pigs, they are not allowed to use the dog to attack the pig in any way. They should only be used to tire out the pigs and then hold them until the hunter arrives and dispatches them. 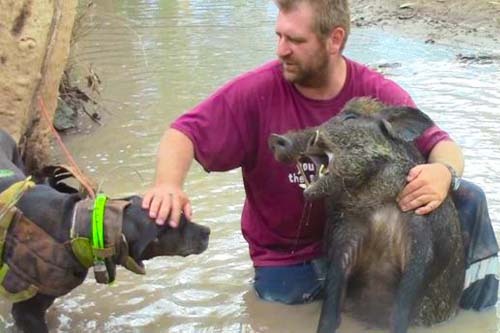 As a pig dogger, it is the owner’s responsibility to ensure that the hunting is done safely. 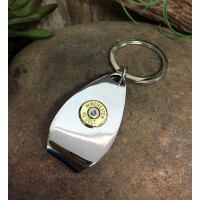 Consequently, they need to have permission, regardless of whether they are hunting on private or public land. For hunting on private land, the owner’s permission is sufficient, but for hunting on public land, a restricted game hunting license is required. Pig doggers should also ensure they don’t violate any animal cruelty or hunting regulations. When it comes to pig dogging in Australia, owners should ensure their dogs are to be fully trained before they enter the hunting ground. Pig hunting dogs are not to chase after stock or wildlife. Practicing good hygiene is also essential, to reduce possible risks brought about by pigs that may be carriers of various diseases, which can be transferred to dogs or humans. 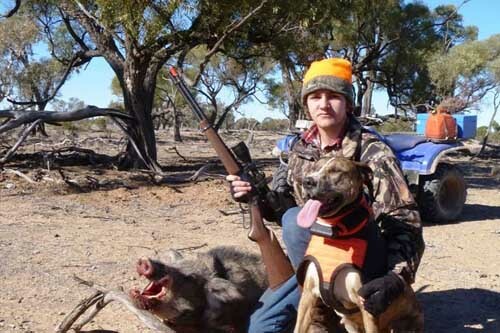 During hunting, pigs should be quickly dispatched and should not be subjected to any unnecessary pain. This is a legal requirement for pig dogging. Failure to follow pig dogging regulations in Australia is subject to heavy penalties. This may be the seizure of their hunting dog/s, hunting equipment and even their vehicle. Transgressors may also be asked to pay expensive fees on the spot, together with substantial fines, depending on the court’s decision. A hunting licence (if held) could either be suspended or cancelled. Overall, Pig Dogging, when done the right way is an effective hunting method in the control of Feral Pigs. 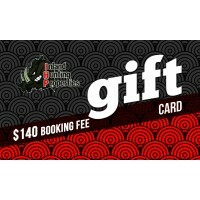 Inland Hunting Properties advocates the highest level of Hunting Ethicacy at all times and will accept nothing less. 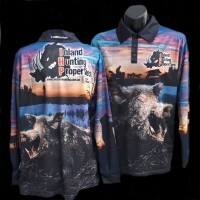 For more information, please visit the Australian Pig Doggers and Hunters Association Website for more details to protect yourself, your dogs, and this unique hunting style.